Kula Island’s Kailey Parker back injury left her barely able to walk. A year later she was addicted to the prescribed pain medications she was given to manage her pain. A year after that, her mother had died. The now 25 year old has overcome her trials and planned to share her story at the Miss Hawaii USA Pageant. Kailey was one of the hand picked girls who were chosen to represent Maui at the formerly owned by President Donald Trump. Kailey Parker was born and raised on Maui island, and move to Washington State with her family for high school. After high school she worked as a cheerleader for a local professional indoor football team, when she fell 7 feet from a railing and landed hard on her tailbone during a game. When Parker blew two disks in her back in a fall, she felt excruciating pain every time she walked. She was prescribed “heavy narcotics” to manage her pain, but over the course of a year realized she was becoming mentally and physically addicted to the meds. “It changed who I was as a person,” she said. “I’m usually a very happy outgoing person, but when you saw me I was intoxicated by the medicine. I was closed off. I was shut down. For the next 40 days Parker experienced intense physical withdrawal symptoms, saying she always felt on edge, shakey and like she was literally dying. While Kailey was separating herself from body from the prescriptions, her grandfather passed away. A week later, her mother did too. She had just graduated from college and had no support on the mainland. She and her 12 year old brother moved back to the island. The healing started when she returned to Maui and began focusing on her health. Right now she works as a visual merchandising coordinator for Tommy Bahama, but tries to be vocal with her story at schools and the youth. Parker recently spoke to students at Lahaina Intermediate School and recalled asking them if they had seen different forms of drugs. Opioid overdose deaths have more than doubled in Hawaii since 2005, just as it has around the country. According the death certificate database of the state department of health, total drug overdoses have more than doubled over the same period. Parker hopes that Trump, who declared the opioid epidemic a “national health emergency” in October, produces a policy against pain medication. She says doctors need to be held accountable for misuse of medication. Parker says she is a stronger person today because of her mother and her fight with opioid abuse. 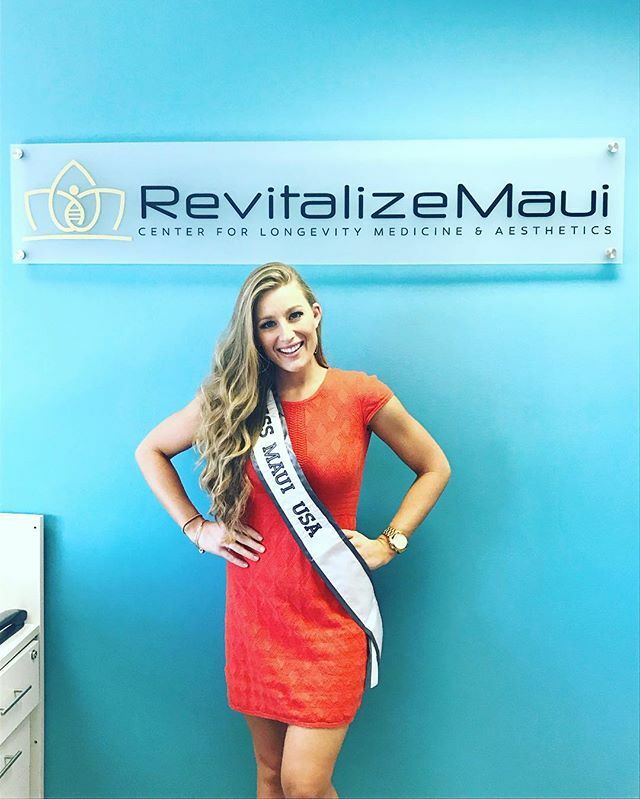 She feels confidently of her chances to represent Hawaii in the Miss USA contest, and hopes to be the first Maui Country resident to win in the 65 year old national competition.